Florida has long been a national leader in the school choice movement, with more than 150,000 students last year participating in programs that helped them access the schooling options that work best for them. For nearly as long as they’ve been in existence, those programs have been under legal fire from opponents who want to preserve a traditional K-12 system that has left many Florida students — especially children of color or of limited means — behind or compelled them to remain in a school that was not the right fit for their educational success. With each lawsuit or appeal, parents feared that their children could lose educational access, a tremendous burden for any family to bear. Fortunately, a recent Florida Supreme Court case has lifted some of that burden, making it clear that two of the state’s school choice programs — the Florida tax-credit scholarship program and the McKay scholarship voucher program — are constitutional. Florida’s Supreme Court issued a 4-3 ruling in Citizens for Strong Schools v. State Board of Education rejecting the plaintiffs’ argument that Florida is not providing adequate funding for education and that school choice programs are taking funding away from public schools. The Florida Supreme Court affirmed the rulings of two lower courts, and for good reason. During the first trial, the court heard from dozens of witnesses and accepted more than 5,000 exhibits over four weeks, concluding that plaintiffs failed to show a connection “between any alleged low student performance and a lack of resources,” or between “additional financial resources and improved student outcomes.” That court also determined that the Florida tax-credit scholarship program and McKay voucher program had “no negative effect on the uniformity or efficiency of the state system of public schools due to these choice programs.” The First District Court of Appeals later affirmed that decision, and now, so has the Florida Supreme Court. The courts were right. 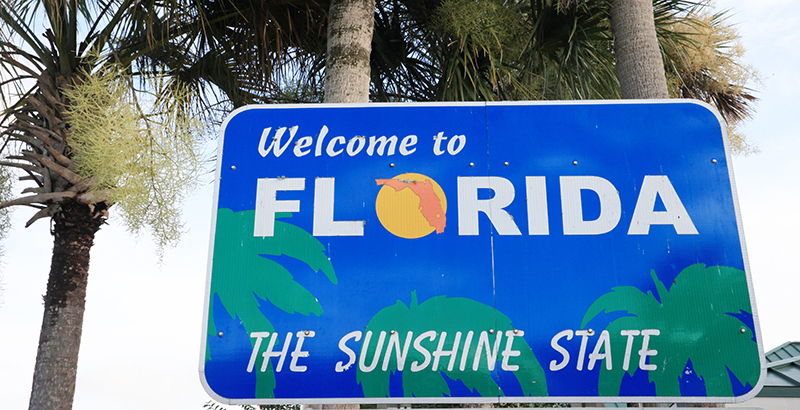 Despite plaintiffs’ allegations that school choice programs caused education to suffer in Florida, the National Assessment of Educational Progress, also known as the Nation’s Report Card, found that from 2003 to 2017 — about the time between the first lawsuit against a Florida school choice program and the recent victory in Citizens for Strong Schools — no state had improved more in fourth-grade math than Florida, and eighth-grade math students were in the top 25 percent of states showing the greatest improvement. It was an incredible win, and it was an honor for my organization, EdChoice, to partner with the Florida State Hispanic Chamber of Commerce on an amicus brief championing freedom for Florida families, including the nearly 40 percent of tax-credit scholarship recipients who are from the Hispanic community. Hispanic children represented 21.6 percent of tax-credit scholarship program participants when the Florida Department of Education reported demographic data for the first time in October 2005; 41 percent of African-American children and 24.6 percent of white children also participated. However, by the 2011-12 school year, the numbers had changed: Participation by Hispanics was 34.7 percent; African Americans, 34 percent; and whites, 25.1 percent. For the first time, Hispanic students were the largest participants in Florida’s tax-credit scholarship program. Hispanic children have outpaced all others ever since that time. Today’s numbers: Hispanics, 38.1 percent; African Americans, 29.4 percent; whites, 26.7 percent. The Pew Research Center Hispanic Trends reports that in 2014, Hispanics represented 29 percent of school-age children in Florida, yet they comprised 38.1 percent of scholarship participants. This higher participation is not surprising, given that 90 percent of Hispanic parents participating in the scholarship-granting program reported in the largest survey of its kind that they are satisfied with their chosen school. The number of Florida Hispanics with a bachelor’s degree or higher increased by almost 22 percent between 2010 and 2014; thanks to the Florida Supreme Court’s decision in Citizens for Strong Schools v. Department of Education, Hispanic families will continue to have opportunities for this level of academic achievement, as they can continue to choose scholarships to find the right educational fit for their children, preparing them for college and career success. All students and families accessing opportunities for educational freedom and success in Florida can breathe a sigh of relief, knowing that their futures are secure. There will be more challenges to school choice, because these programs are a threat to the status quo and to those who fear change more than they embrace the future and its endless possibilities. We at EdChoice will be there every step of the way to fight for families who require an alternative to the traditional K-12 system, or for whom it simply is not working. We will stand up against those who would limit opportunity for others to achieve their own success. And we will not rest until every family in the United States and its territories has access to educational options that meet their needs. Every child deserves a chance to achieve success and bring joy into this world. Leslie Hiner is vice president of legal affairs at EdChoice and leads the EdChoice Legal Defense & Education Center.